To be successful a business must remain entrepreneurial. Likewise to be successful the modern strategist also has to be entrepreneurial. As businesses grow and become more complex this simple fact is often forgotten. 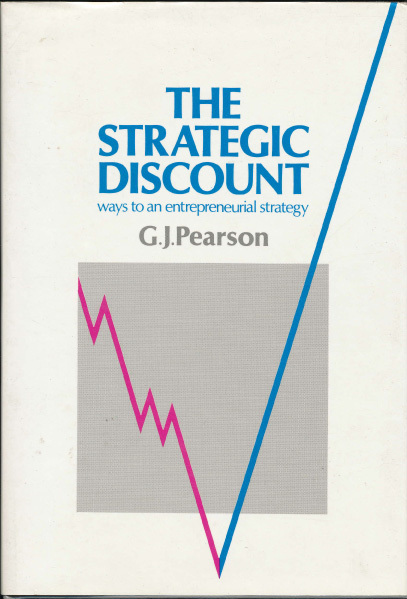 In this book Gordon Pearson introduces a new, and original concept – the strategic discount – a device to redress the anti-investment bias often inherent in financial appraisal methods. In a borader context, the book is a plea to consider those few factors which determine the long term success of a business. Those investments, products, customers, projects which could give a strategic advantage and should be favoured over those which do not, even if their strategic attractions are difficult to quantify. This favourable bias is the real strategic discount, counterbalance to the risk premium accounting methods add to the rates of return required of long term projects. Unique in its approach, and possibly controversial, this book is not about planning systems and sophisticated analytical and quantitative methods. It is aimed at the person who actually has responsibility for business strategy and is based on widely accepted principles and many years of experience. It takes a fresh, simple and rigorous approach to the often confusing area of strategic direction and control and business objectives. It explains the failure of existing systems and describes a practical and straightforward method of developing and controlling an effective business strategy.